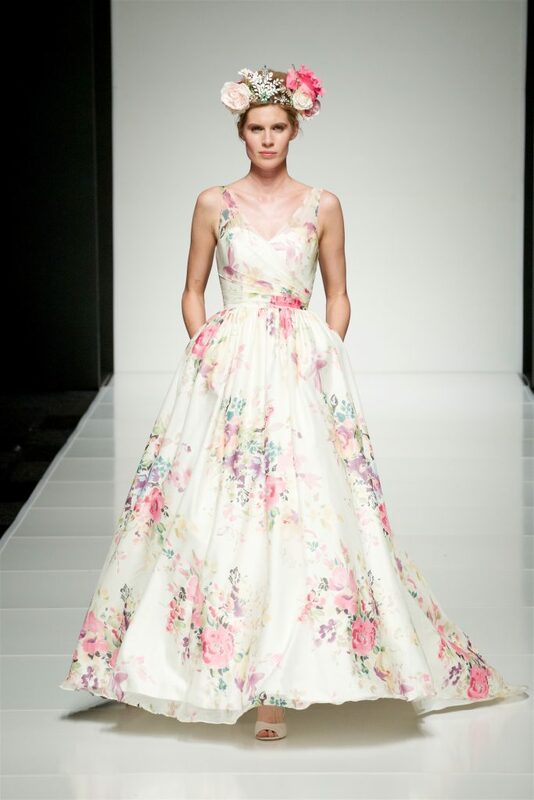 You can get creative with your wedding day style, from garden-inspired prints to elegant illustration style designs and vibrant watercolor-esque dresses, going floral can say anything from ‘statement’ to ‘traditional with a twist’. Want to make your dress memorable? 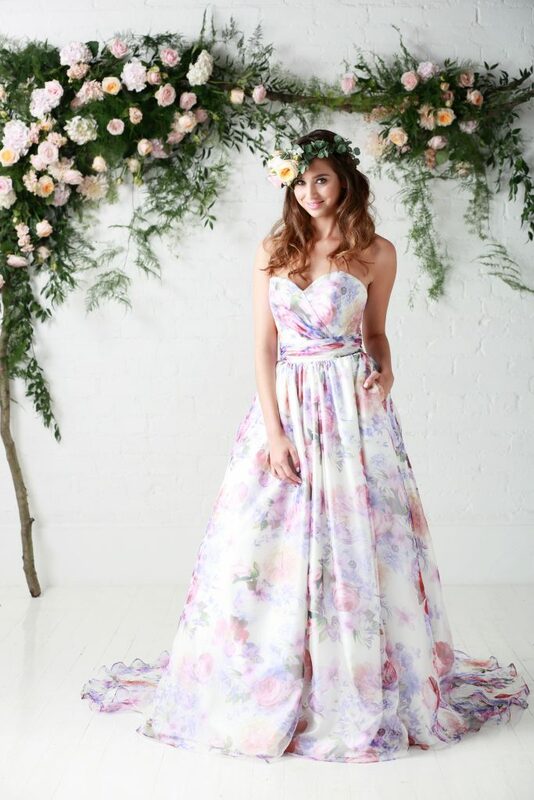 Go floral and your gown will be talked about long after the wedding. Your guests will probably remember it for a very long time. You can theme the whole wedding day around your unique gown. Everything from the flower arrangements, theme colours, stationary and wedding cake, and match up the shades with the bridesmaid’s gowns – a truly blooming celebration! 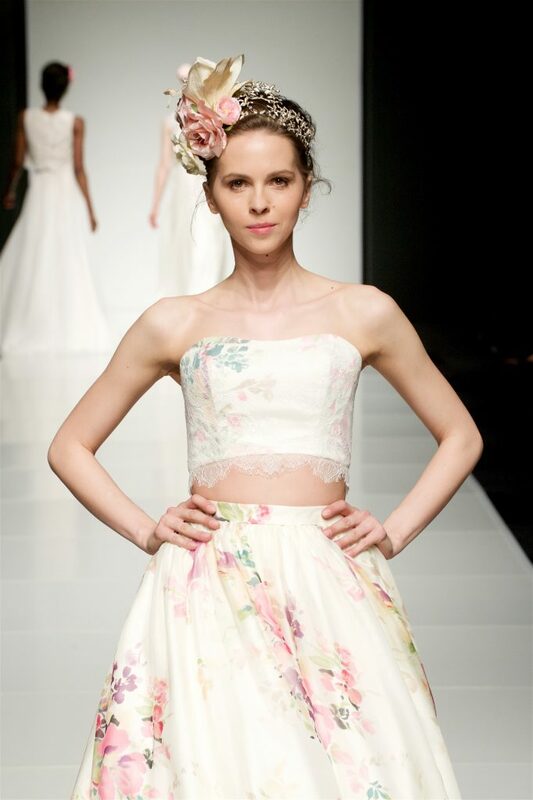 Soft, delicate and pretty floral prints work beautifully for a wedding dress combined with a dreamy colour palette. 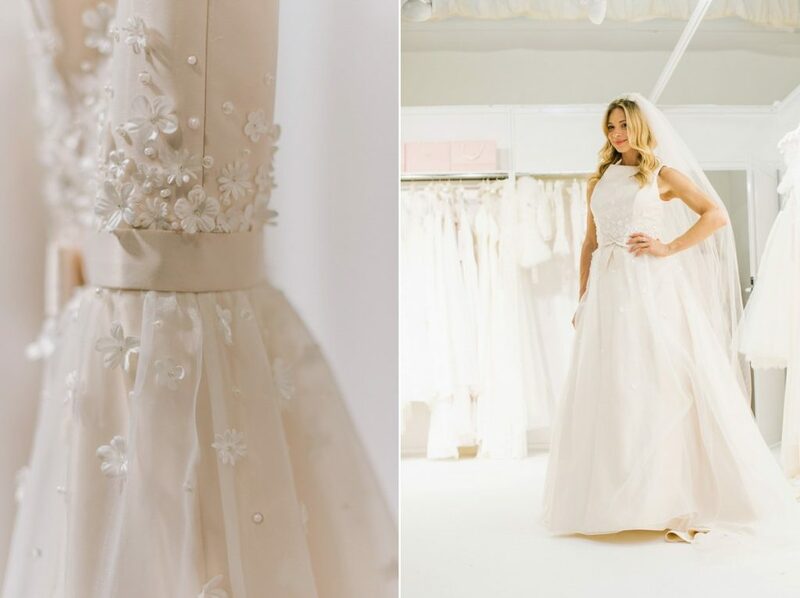 Floral versus ivory add to the unique style and look to your wedding day. Make your wedding personal, stylish and fun with florals. Style your bridesmaids in ivory to create a contrast. As a result, your dress will stand out and shine even more in photos. 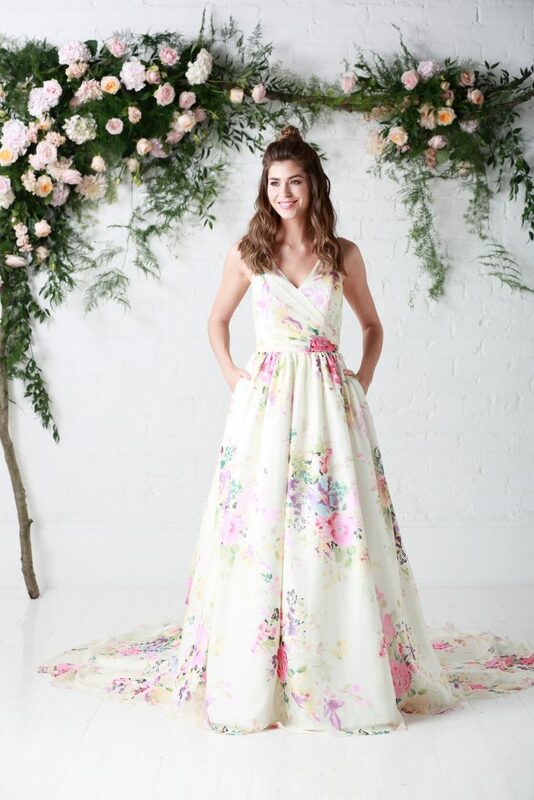 The floral trend does not just apply to bridal gowns from the new ‘Untamed Love’ collection features the ‘Posy’ 2 piece: a full ball gown skirt, which features an on trend pocket detail, styled with a cute crop top. Dare to be different with this super cool look for your wedding day. Embrace the boho style for your wedding day with a romantic floral gown styled with a beautiful oversized flower crown and loose waves. A floral wedding outfit can be worn again and enjoyed for years to come. You can take it with you on your honeymoon or wear it for a romantic anniversary night out with your husband. To see Charlotte Balbier’s beautiful ‘Untamed Love’ collection in full visit: www.charlottebalbier.com. 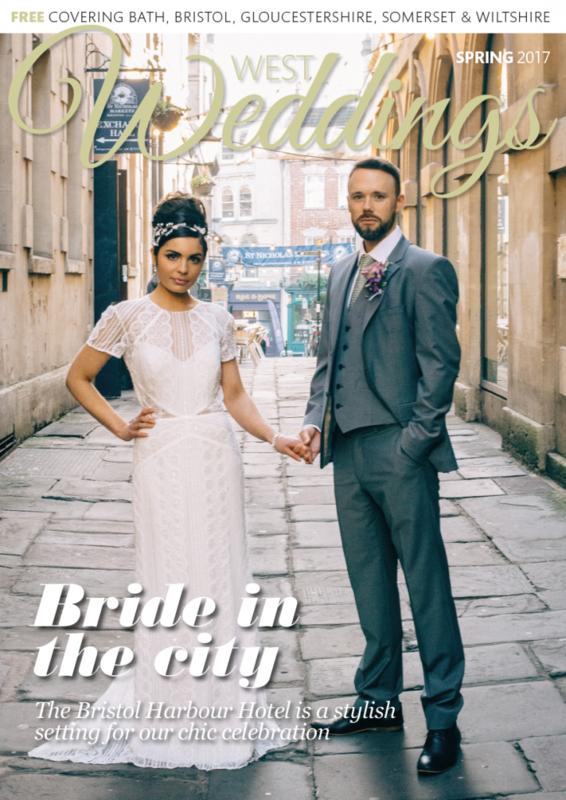 Don’t forget to visit our Galleries page for even more wedding fashion inspiration.